MLS# SR19084910 - 23137 Cardinal Road, Wrightwood, CA 92397 - Pat & David Fogg | David Fogg Real Estate, Inc. Courtesy of David A. Amini, David Amini. 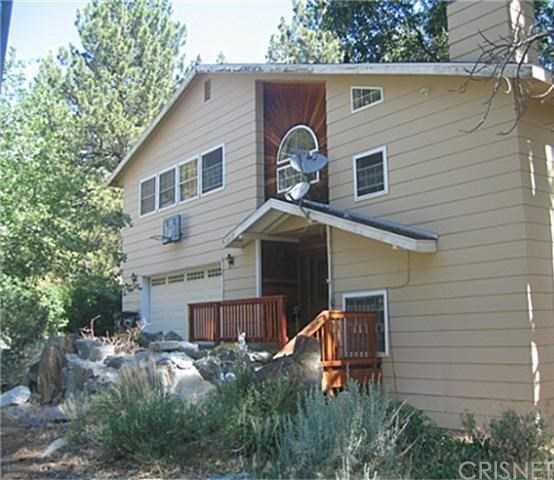 Beautiful tri-level home located in Wrightwood,on quiet cul-de-sac street just minutes away from Mt Hight Ski Resort. Spacious House sits on Huge lot with custom built in rock waterfall feature. Custom Double entry doors/leaded glass. Features expansive wrap around balcony&gorgeous porch. Well though-out floor plan, with spacious rooms, plenty of bathrooms&two lrg fireplaces. Spacious kitchen w/ all new stainless appliances, oak cabinets, gas stove, and large center island. MB upstairs w/ spacious walk-in closet. Four bedrooms located in back wing plus HUGE bonus/game rm. Lrg windows frame the beautiful views of the pine trees in every room. Lrg family room, Perfect home for entertaining. Fenced property for privacy. Close to National Forest&Award-winning Snowline School District. Sold AS-IS. Must see property! Please, send me more information on this property: MLS# SR19084910 – $524,000 – 23137 Cardinal Road, Wrightwood, CA 92397. I would like to schedule a showing appointment for this property: MLS# SR19084910 – $524,000 – 23137 Cardinal Road, Wrightwood, CA 92397.